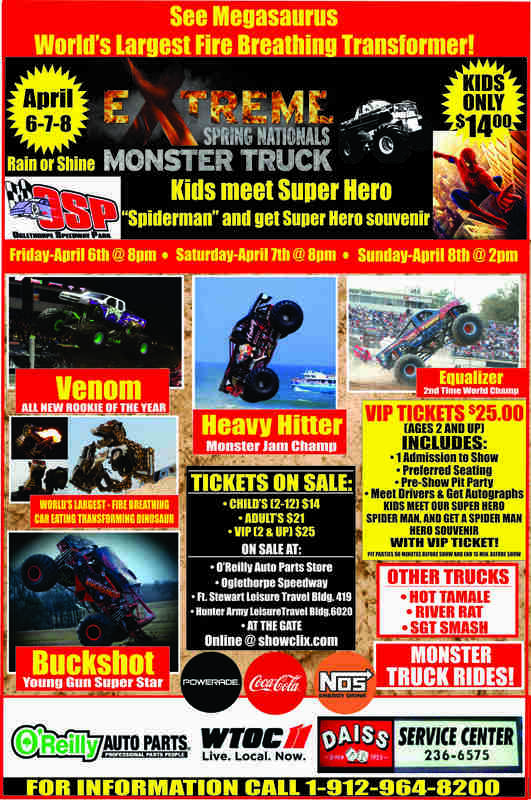 FEATURING THE BADDEST TRUCKS ON THE PLANET! "EQUALIZER"- 2 TIME WORLD CHAMPION! Anybody 2 and older needs a ticket to get in to the show! OGLETHORPE SPEEDWAY 200 JESUP RD.